If you're a fan of the Washington Capitals, then the team has put up fellow countrymen Evgeny Kuznetsov and Dmitry Orlov against each other in the past. Instead of using targets, they're using their own bobbleheads for an NHL 19 promotional. To no one's surprise, Kuznetsov cleans up in the video, as he decapitated all three of Orlov's bobbleheads in 14.82 seconds. 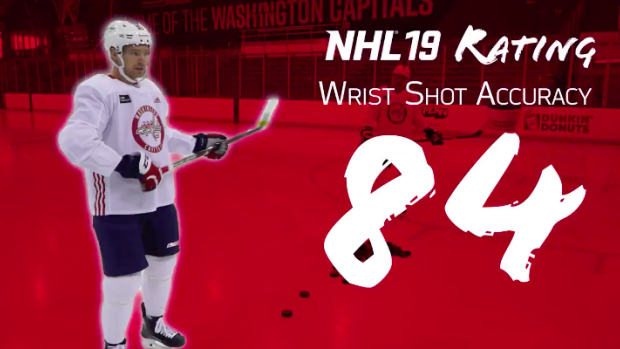 Orlov, a defenceman, isn't really known for his wrist shot, as referenced by the "74" rating. Did you notice the smirk on Kuznetsov's face followed by the "Pipe City" graphic that popped up? After nailing just one of the bobbleheads, Orlov took his stick and decided enough was enough. The bromance is pretty real.